Fear not – I have not given up on the Grumbling Tummy. It has just been a very busy time what with getting a new job with a fab charity and all. Into my second week at Kidney Kids Scotland so feel I can breathe now and get writing again. 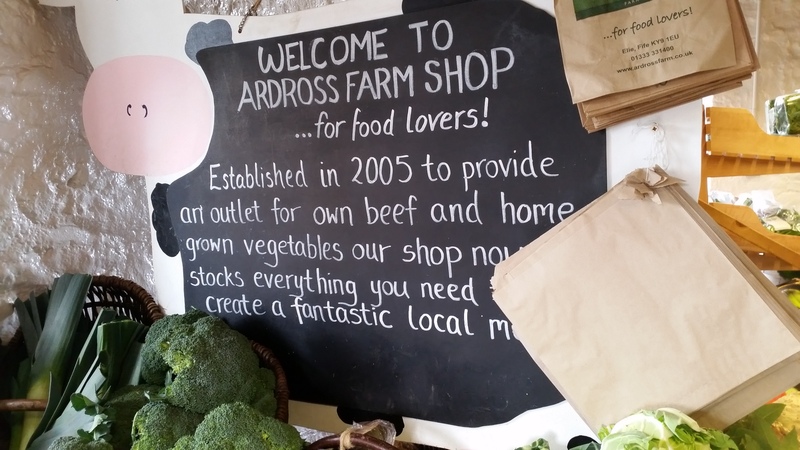 To get me back into the swing I am posting about my trip to Ardross Farm Shop today which some of you may have already seen on the Crail Food Festival website as it was an assignment for them. So here you go …… get ready for your mouth to water. Once you have read this you will be beating a hasty path to Ardross or at least your own local farm shop if you live further afield. I was delighted to be asked to be part of the Crail Food Festival blogging team again this year and even more delighted to learn that my assignment would take me to Ardross Farm Shop in Elie. 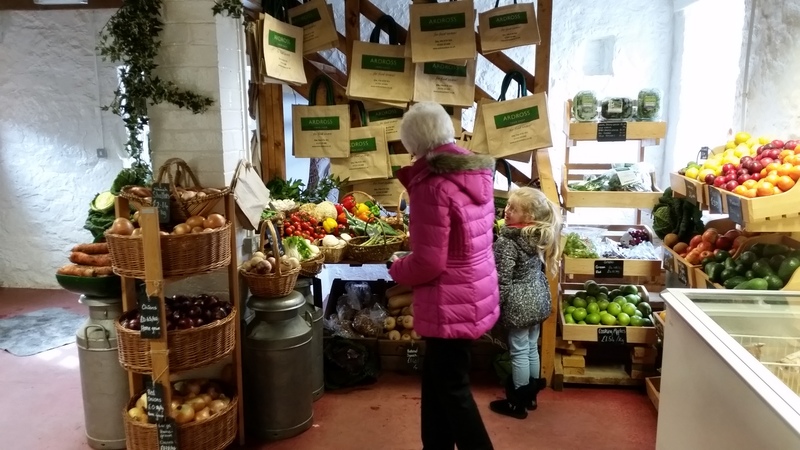 I had heard Ardross mentioned for quite some time in rather hallowed tones and had always wanted to pay it a visit – well you know how much I love a good farm shop! The rain stayed away on the morning the Cameron family headed up to Elie and we were all in fine fettle. N was fixated on the possibility of seeing a cow and having a go on a tractor. I was just – well – hungry and B saw the farm outing as an excuse to don his hunter wellies. The Pollock family have been in the farming business for generations, having moved east from Ayrshire to this stunning part of Fife. They have a herd of very happy and healthy Stabiliser cows, which may little bit smaller than some other breeds but they virtually calf themselves and are great at suckling due to a pretty stress free birth. The calves get all the good nutrients from their mother right away which bears future rewards in terms of a robust immune system. 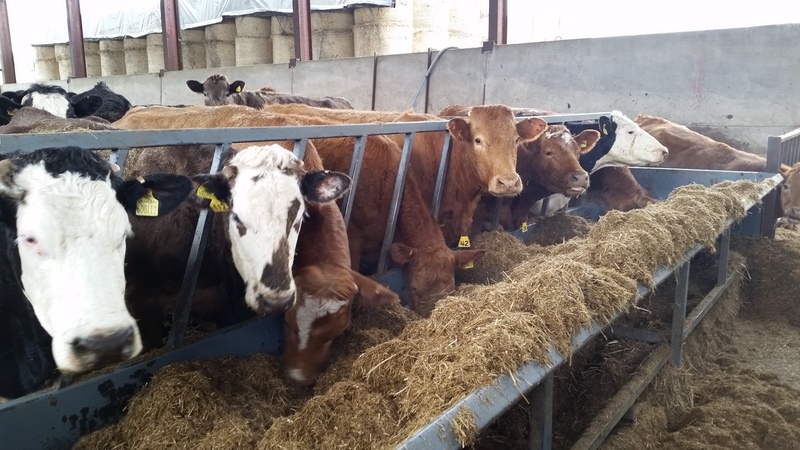 The cows at Ardross live their lives in the great outdoors, grazing on nutrient rich meadow pastures or crops which are being produced on the farm itself. This is the second farm I have visited in the last year and what has struck me with both has been the emphasis put on the welfare and happiness of the animals. It really is of paramount importance to the Pollock family that the herd are raised in a traditional manner in as stress free an environment as possible. I was interested to learn that when cows are reared in this way there is little need for the use of antibiotics – this just makes good sense to me. The meat from the cows I met is made into a mouth watering range of roasts, sausages, burgers, beef olives and more. I will get onto the taste test soon but I can let you know now that it is damn fine. 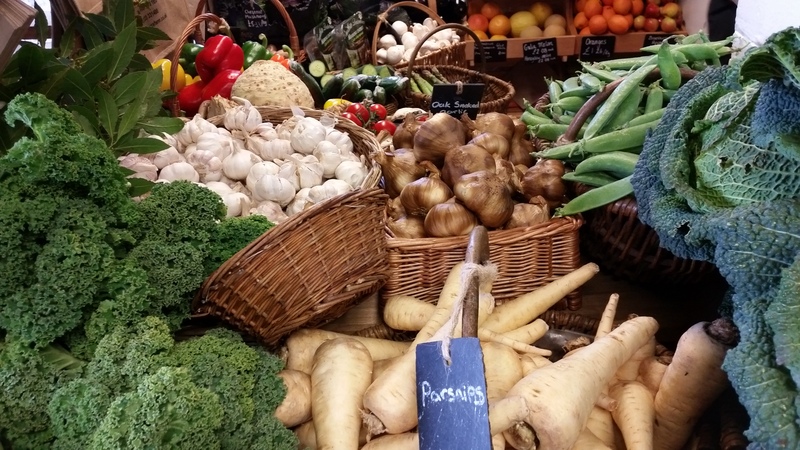 Of course it is not just about the beef here at Ardross – they also grow more than 50 varieties of vegetables, and apart from one of two compromises their shop is faithful to the seasons and the veg is picked fresh every morning. I learned a little about how unique this is and how old some of my super market produce might be by the time it makes its way onto my plate. You don’t want to know but what you probably want to do is get ye to your local farm shop. The shop is award winning for a reason. As soon as you walk in you are greeted with a riot of colour from the freshest and most inviting vegetable display I have ever seen. The last time I saw fresh produce that looked this good was in the outdoor market of France or Italy when I have been on holiday. It is a million miles away from the display of plastic wrapped ‘same size’ offerings in the local supermarket. Ardross sell both meat in the chiller and a large range of frozen meat. This is so that they can keep things as fresh as possible for their customers. As it was a while before we were heading home we bought a fair abundance of meat from the chiller. 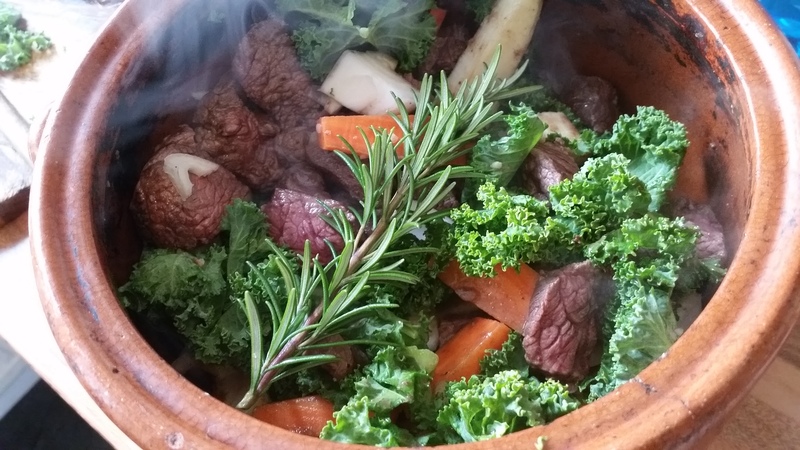 Beef Olives were first in the basket – a favourite from childhood when I called them Biffalows. Junior suggested sausages (of course). Burgers for the boy and some beef to create a hearty stew. To accompany our array of meat we were gifted an amazing veggie box which included a carrot which was taller than a bottle of wine! Other goodies included a swede, beetroot, kale, cabbage and onion. As well as their own produce there is also an array of goodies from artisan suppliers – in went fudge, cheesy straws and some gourmet crisps. For those of you who are thinking that this farm shop malarkey is ok if you have the money can I just tell you that the meat and veg at Ardross is keenly priced making it affordable for all of us to eat good food. They have come along way from a painted shed with a bell which sounded in the farm-house signalling to the family that they had a customer. 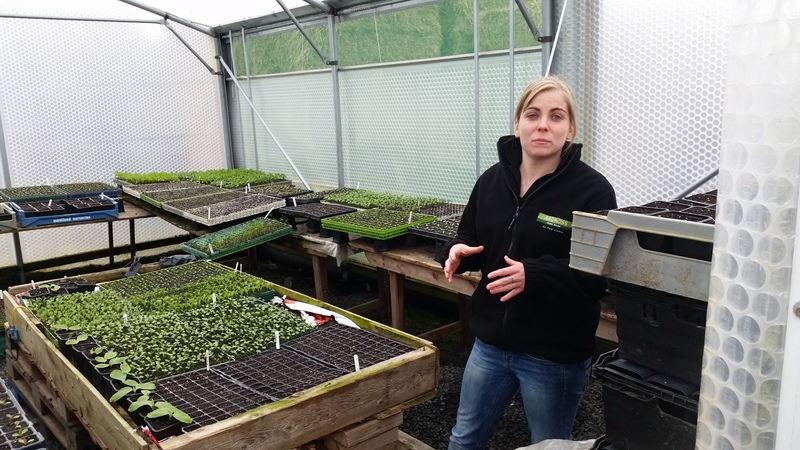 Ten years on and the family (for it is indeed a true family affair) have not only a successful farm but a thriving farm shop on their hands. Nikki who is at the helm of the farm shop has grand plans for expansion but her dreams are kept in check by her sister who is an accountant turned farmer, and indeed one of the most exciting and interesting young farmers I have ever come across. Anyway watch this space with regards to what happens next. So how did the food actually taste? Fantastic. I have here a picture of the stew I made, which would have been nice with any meat ( I am a very good stew maker) but was absolutely stunning with the beef from Ardross. It was melt in the mouth and tasted like stew my granny used to make before we all went to supermarkets. I included the carrot, onion and kale in the stew and on the side I made a celeriac and carrot mash with lots of crème fraiche and pepper. It was beautiful. This blog could last forever but I must attempt to wrap things up a little with some final observations. It never feels to leave me in awe when I meet people who have so much passion for what they do, and that passion never fails to shine through in what they produce. Rob, Fiona, Nikki and Claire are the most passionate family I have met – they live and breathe their business and you can’t help but be infected by their enthusiasm. 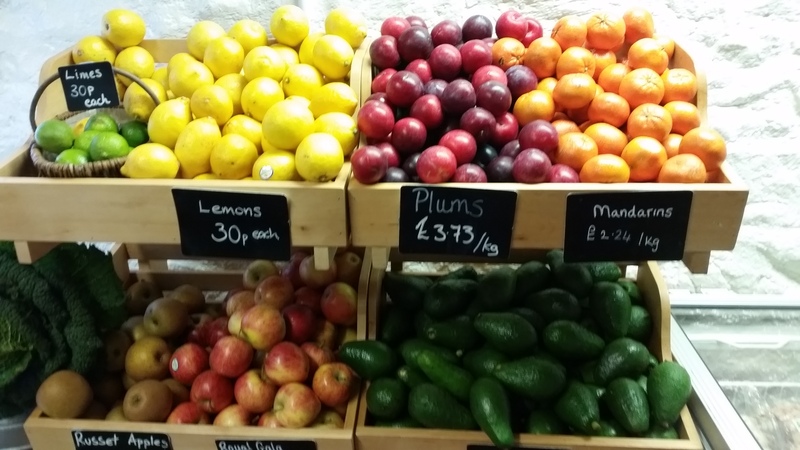 So this summer I suggest we all reconnect with our food and good first step is paying a visit to Ardross Farm Shop. I may live 45 minutes drive away but I know I will be back.